Back Rating: 73.4 & 73. Golf Digest has rated Diamondhead Country Club a Four Star golf facility in the past and Diamondhead continues to make improvements. 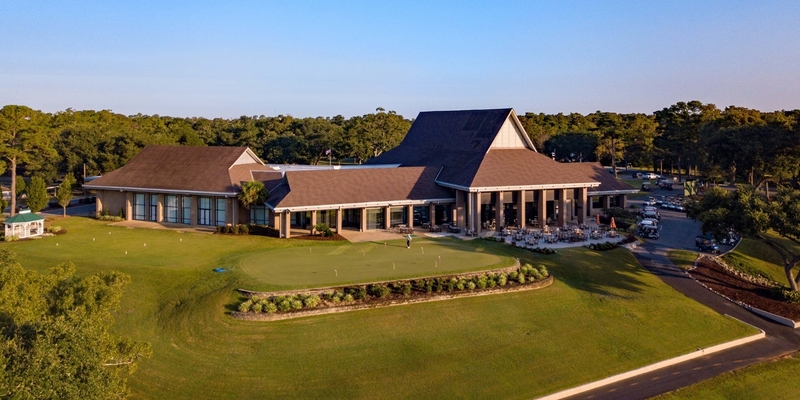 You and your golf group will be sure to enjoy our full-service country club facility with two top-rated golf courses and some of the best greens along the Mississippi Gulf Coast, as well as the only indoor/outdoor Golf Academy. A five-year renovation plan for both of Diamondhead Country Club’s championship golf courses was completed in 2016. 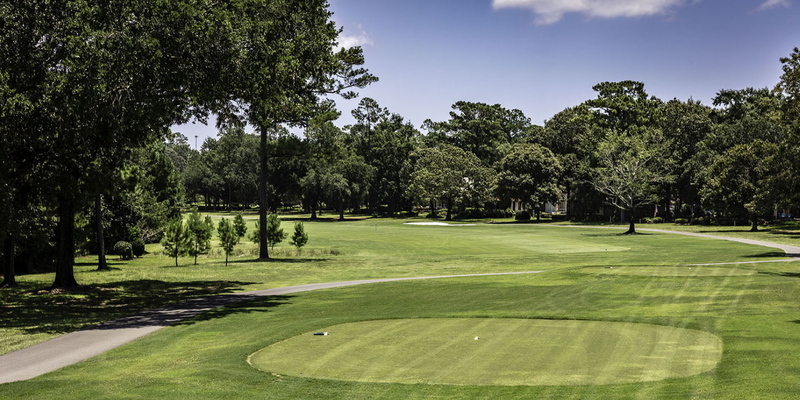 While all major course routing remained intact many features were added and improvements made to keep Diamondhead Country Club among everyone’s list of favorite places to play when on the Mississippi Gulf Coast. Diamondhead Country Club – Cardinal Course Designed by world-renowned golf course architect John LaFoy. 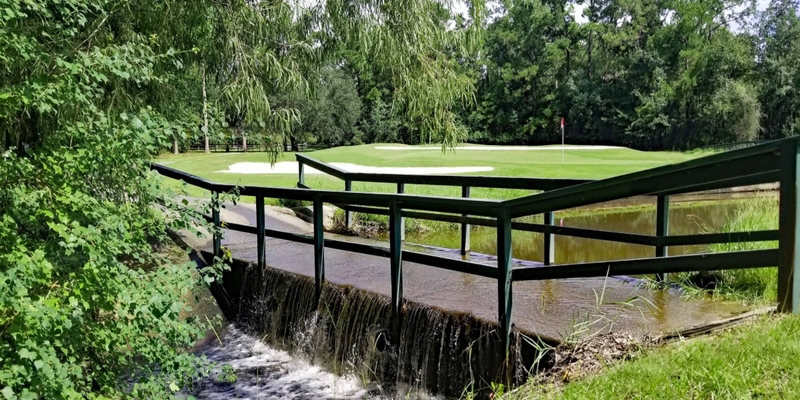 Diamondhead Cardinal Golf Course is a par 72 layout beautifully worked into the existing terrain and plays to 6,729 yards from the championship tees with a course rating of 73.1 and slope of 131. 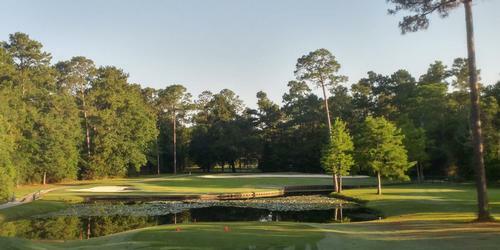 Diamondhead Country Club – Pine Course Rated Four Stars by Golf Digest. 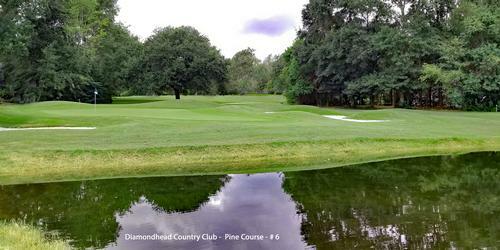 Designed by Earl Stone, Diamondhead Pine Golf Course was built with all levels of golf abilities in mind. 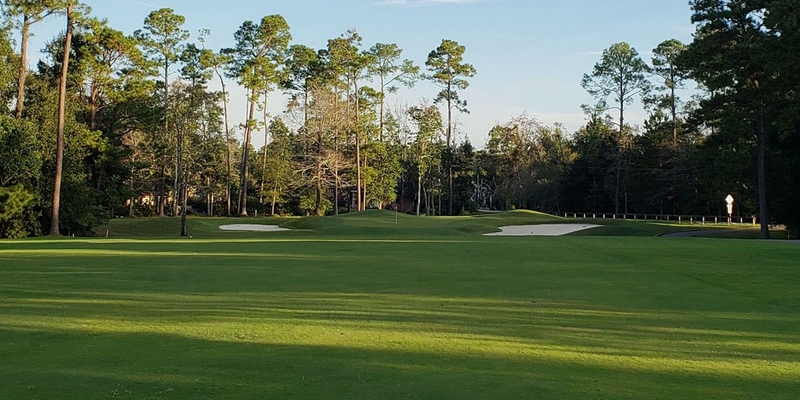 Diamondhead Pine Golf Course is a par 72 layout that was masterfully carved into the rare rolling terrain and plays to 6,769 yards from the championship tees with a course rating of 73.4 and a slope of 134. Great service, five sets of tees, country club course conditioning, state-of-the-art golf academy, world-class practice facilities, along with two championship 18-hole golf courses make Diamondhead Country Club a golf experience not to be missed. Outside memberships, including monthly membership, are available! Call (228) 255-3910 to discuss our membership options. This profile was last updated on 02/05/2019 and has been viewed 8,636 times.